Below are some reviews from a few years ago. If you want to see the most recent stuff, check out my Google Reviews! I also used to collect reviews on a sight called Thumbtack. Click here to find out more about my live classes or one-on-one Skype classes. Very personable. If you are struggling tell him. He can pin point what you need to work on and how to master whatever you are struggling with. Also if he’s explaining something and you still don’t get it, tell him. He is very patient and wants to see you succeed. – Danielle S.
I decided to take the GRE with very little time to prepare. After two meetings with Cody, my score improved 12 points, and I scored above and beyond my goal during my official test. I would highly recommend giving him a call if you are preparing for the GRE. – Maverick N.
Hudson is an excellent lecturer. I took his GRE course, and I am convinced that his instruction immensely improved my score. His price is an absolute bargain compared to many GRE prep courses out there, and I believe his instruction on the writing portion alone is worth the money. In my first practice test, I scored a 318. On test day, I scored a 329, and I know that I could not have performed that well without his tips. He knows his stuff and points his students to focus on what is important. If you abide by his tips, I would be surprised if you do not score well on the writing portion of the exam. I did exactly what he said and scored a 5.5, which I understand falls in the 96th-98th percentile range. I am generally bad at writing under pressure, and I can testify that his guidance on the writing portion greatly improved my score. Finally, he truly cares about his students and goes above and beyond in his preparation. He has taken numerous GRE tests and has worked through many practice books. 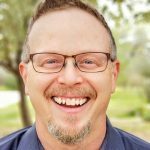 He has seen virtually all the tricks that the examiners throw at the test-takers, and he knows how to manage them and tackle them in a time-efficient manner. Also, he is knowledgeable about every aspect of the exam, including details of how the testing centers operate, what to expect on test day, and what to bring. Follow his advice, and I fully believe you will not regret it. – Ben F.
An excellent teacher and GRE prep class. Cody’s GRE course was excellent. He was a very knowledgable, relatable, and charismatic teacher. He covered all aspects of the test in great detail. Moreover, he teaches you the skills needed to maximize your learning and studying. The GRE seems daunting at first, especially because of the volume of math and the vocabulary, but Cody teaches you fantastic techniques to overcome this seemingly unsurmountable task of studying. I would recommend this course to everyone who’s looking to take the GRE seriously. Give yourself at least a month in advance to take Codys class before the test to see best results. This class requires self discipline. Information is invaluable and the the teaching is excellent, but requires that you, the student, implement the skills and knowledge from the class. So if you actually are considering grad school, this should be a perfect class you. – Zach D.
Call or text (979) 633-4524 with questions or register for an upcoming StudyProf GRE Prep class now. “Really great review over topics on the GRE! Gave helpful tips for answering questions!” – Connor C.
“Cody was a great teacher! I had already gone through some of the GRE book on my own but I still felt like I learned so many new study tips from him!! Well worth it! !” – Caitlyn C.
“Only a couple of sessions in but I wish I signed up sooner!” – Keda L.
“I learned a lot of different techniques and strategies that could use in on the GRE test as well as in other classes. Thanks for everything!! !” – Jonathan H.
“Prior to taking Hudson’? ?s GRE tutoring in College Station, TX, I decided to take the exam cold thinking I would get a feel for the live test and possibly do well enough to get the score I needed. I inevitably bombed the exam and decided to try and retake it, only after preparing this time with materials from Half Priced Books. After purchasing a couple of dictionary sized books, I quickly realized that I wouldn’t have the time or mental endurance to get thru either, let alone retain any real quantity of information with my class and work schedule. I went online in search for tutoring and scoured the internet for GRE prep classes. The only courses I found seemed to be offered by the well known test prep companies that are expensive and require a huge time commitment both in class and at home. When I was about to give up on tutoring, I randomly stumbled onto Hudson’s Study Prof Website. After reading several strong reviews from former students, and then actually contacting Hudson to have him answer some further questions, I decided to enroll in his course. Hudson simplifies this exam in such a way that allows you to navigate thru each section with ease and familiarity over the tested subjects. I was able to use a variety of mathematical shortcuts to fly thru the math portion and also benefitted tremendously from the use of mnemonics to improve my vocabulary. I dramatically improved my score and highly recommend Hudson’s course to anyone looking to improve their GRE score. It is absolutely worth the investment and he is able to move efficiently thru normally dry subject matter in a way that keeps you engaged and excited knowing that it would’ve taken you forever to get the knowledge he presents to you in a matter of hours!” – Sal M.
“In just two sessions, Prof. Blair covered all topics included in the GRE exam. This not only made an impact on my score, but in my English skills. I would recommend him for both national and foreign students as he reviews what you already know and introduces you to new topics.” – Ivan C.
“efficient and effective tutoring” – Keith L.
“Cody did a great job of summarizing everything that you needed to know for the GRE. I took his course without haven taken the GRE, but I was really pleased with the results. He saved so much time by pulling everything together that you needed to know, and I would absolutely recommend his course! Thanks, Cody!” – Taylor C.
“This GRE prep course was very helpful. I felt that it successfully prepared me for the GRE and gave me the confidence I needed to take the test. My results showed the taking the prep course paid off!” – Morgan V.
“Very accessible. Knows the material and views studying from a student’s perspective. Shares tricks with you to be more efficient at studying.” – Jorge M.
My name is Daniel S– and I took your GRE prep course at the beginning of the year. I wanted to tell you, first off, that I took my first GRE test a week ago. On my first GRE practice test I took when I started studying I was scoring around 450 on verbal and 550 on quantitative. I ended up scoring a 520 on verbal and 790 on quantitative [310 point increase!]. I credit all the improvements to what I learned in your class and the habits I created from it (from personal cheerleader to all the math tricks it really helped)…. Thank you, Cody, for teaching that class, as it was an immense help. I just wanted to send you an email to say thank you! I was in your GRE Prep Course this summer for the REU students at Texas A&M and I took my GRE yesterday and score 280 points higher than the last time I took it (almost a 300 points increase on the math alone)! I got a 700 on Math and a 480 on verbal (1180 overall). Everything we went over in class, all the tips and tricks to the math section really helped to increase my score there! Thanks! I really didn’t expect my score to increase that much from one test to another but your class and extra studying really paid off! Thanks again! I just wanted to let you know that I took a GRE test today and I got an 1170 (150 points higher than ever before). Even though I have to admit that due to time constraints, I was unable to study, I can say with a great deal of certainty that I was able to improve because you taught us such helpful test taking techniques for the GRE. All credit is due to your help and God’s grace. Thanks again for such a great course. I would like to thank you for the GRE prep course I took with you this last winter. I increased my score 150 points. You helped me break things down and make sense of it all. Though my verbal was still not up as high as I hoped for, I got a 720 on the math portion. I was accepted into construction management graduate school here at A&M and started just this week. I don’t think I would have been able to make the improvements on my scores without your help. Thank you again and God Bless. I just wanted to write you to thank you for all your help on the GRE. I took the test on January 6 and made an 1140 (700 on quantitative and 440 on verbal). I just got the ETS score in the mail today, and I received a 5.5 on the analytical writing!! There’s honestly no way I would have done that well without your class. Once again, thank you so much for your help. The GRE is over!! 🙂 I took it on Friday and I raised my score by 130 points to get an 1150!! Thank you so much for your help, even with the very minimal amount of time (one week!) that I had to study, I was able to raise my score to one that I was happy with. Your class was really helpful, thanks again! I know it really made a difference Cody. I imagined I would only need this course for GRE prep, but so many companies want to know if you can do basic fundamental math. If you haven’t seen it since 10th grade it can be a bit intimidating. I went through that assessment in a breeze and was able to move to the next phase of the interview with confidence. Thanks! Cody, I just wanted to thank you so much for your test techniques. I had a job interview this week and the [job] assessment had so many questions we went over [for the GRE]! You rock! Hi Cody, I just thought I’d give you a little update. I finally took the GRE after taking your class in May. I’m happy to report that I got an 1160…. I took the GRE two years ago, and I got over 300 points lower. No joke. I had been terrified of taking it ever since. Taking your class gave the not only the confidence I needed, but also gave me a feel for the math section that helped raise my score. Thank you so much! I’ve been recommending your course to everyone. I took my second GRE today and my verbal score increased 80 points … and my math score increased 110 points…. Thank you again for your techniques, I will recommend your course to anyone. I did very well on the GRE! The first time I took it (before your course) my cumulative score was around 920. However when I took it last I scored 610 on the math and a 580 on the verbal (1190 total). This score was more than sufficient to get me into the masters program … which I am now attending. Thank you so much for your course. I have already told many of my friends and family about your course and how effective it is at understanding how to take the GRE. Thanks Cody for all the help you gave me for preparing for the GRE. The first time I took it before your class I made a 790. After your class I made a 1100. It was a major improvement. I just wanted to say thanks so much for all your help! I had already taken the GRE earlier in the summer and made a decent score, but not one that I thought would really be competitive for applying to vet school. But I took the test again this last Friday and my math score went up 180 points!! And since that’s the score I was worried about, you can imagine how excited I was to see it! So thanks again for your clear teaching and all your study tips; they’ve already come in handy! I really appreciate all your work!! The material used was very straightforward and helpful, not turbid at all!:)! The teacher was clear and very efficient. He was very willing to help out and take time out of his own schedule. I would recommend every person to take the prep class, especially with this teacher. Here I am a senior and I want to know why I never learned these study tips before now… I not only feel confident for GRE but for senior year and grad school! This class gave me direction and incredible study tips to help me prepare for the test. I would recommend it to anyone who would like to increase their score without spending a ton of money! I’m absolutely amazed that anyone would take the GRE-and risk their future without adequate preparation! With the very first class, I learned tips and techniques that were vital to getting the score I wanted. Cody’s there to help when I have questions or need advice while studying for the test. His class was worthwhile and I learned many great tactics for improving my GRE score. I would recommend students planning on taking the GRE to check out this course; heading into the test, I have a clearer picture of the test’s format and content. I feel confident that students like me— who have never taken the test before— will be more prepared to score well on their first attempt, and students who have taken the test before can expect to improve. I took your GRE prep class last month and just took the GRE test. I just wanted to thank you for helping me study for this test. A month ago I was taking practice tests and scored in the 900’s. I need an 1100 for the grad school I’m interested in and your class helped me to score above and beyond that score! I made a 1270 on the real test! I am so excited! Again, thank you so much. I never expected to score this well! This was a great refresher course! I feel 100 times more confident after having taken this course. Mr. Blair is an awesome teacher! Thank you for your time and effort to make this easier on us. In retrospect I was very scared of failure on the GRE. But now, I can honestly study and aim for a 1250, without feeling foolish. Cody’s offer to help outside of prep class was also impressive…Thank you! Thank you!!! This training was very helpful. I feel like I came out of here more confident with the math section. I would definitely recommend this GRE prep course to others. The instructor makes it fun, which in turn makes it much easier to learn. He really appears to enjoy teaching this course and he is very erudite on the material. These comments may be about the website, the mini-course emails, the ebook, the iTunesU Wired Study Tips Podcast, or the live classes. I have a fourteen year old daughter with dyslexia. I find your study tips great. Please keep them coming. I am a lawyer and went through law school doing things the long way. It worked but it was a ton of work. I am using your techniques with my daughter and they are working. The neumonics [sic] are great and really work for her. I will definitely use your reading tip in the last email and get some flash cards for my daughter. Who would have thought that grade 9 geography was so dense. Your techniques were very helpful (though I really haven’t looked at the site, since I went to the seminar). It was a great benefit to me freshman year to have a concrete plan to advance through my work, and knowledge of how my brain works most effectively. The most effective of the techniques that you taught has been the hour on, fifteen minutes off cycle. It helps me out tremendously. I still am unable to determine whether I work faster overall when using it, but I know that it multiplies my retention so that I don’t need to spend hours studying later. Currently I am in my third semester of Mechanical Engineering and have a 4.0 GPA- in large part due to your course on how to study. Your notes on flashcards, intro to mnemonic devices, various illustrations, etc. also helped a great deal. I shared what I had learned with many of my friends, and they say that they don’t know how they would have survived the first semester without them. WOW. Not what I expected; I actually learned something! Best course I’ve been to. I’ll be able to read my textbooks a lot faster and actually know the material. This was great! I really hope that my grades improve this semester. It was totally worth it, and now I’m actually not worried about studying. It was like college prep in four hours. Wish it was mandatory. Very good course to take!!! I am glad I took the course. I love the workbook! Well worth my time and money. I wish I had known this my freshman year. I first just want to thank you for the advice and techniques you have provided to make this semester one of my most memorable (socially) and successful (academically) of college. I took your “study smarter, not harder” class on a whim at the beginning of the fall semester and it gave me such a new and fresh outlook on the science behind studying. Your class, blog, and webinar have all been great resources to provide students with information that others (like yourself) had to learn the hard way. I never was in a class where I learned how to study. How to summarize what I need, how to remember later even what I read in a magazine 5 min ago. This is what I liked the most. Something I can use for anything. It was something I needed and I didn’t know I needed. I think your advices [sic] are very good, and I like your tips. I have improved my learning methods a lot! I wanted to sincerely thank you for your help…. I have applied what I learned & I have been quite successful in school. Your time and patience are part of the reason that I’ve had this opportunity & I am grateful. …very helpful and I think well worth the money. Thanks for all your help, your course really does pay off! I’d also like to thank you for your amazing help. You’re book and study advice on the web, and on podcast, was incredibly helpful. You certainly know what you’re talking about. I’ve looked around a lot for study help, but you’re advice was certainly the best out of the lot. it was also delivered in a way which certainly connected with me. You’re podcasts were particularly entertaining. You’ve certainly made a big mark on my study habits. I have and will enthusiastically recommend your website and podcasts to other students. 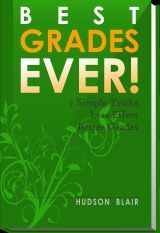 And just to let you know: After I began using your website, and after I read the books you recommended (The Brain Book & How to Become a Straight-A Student), my grades have dramatically improved. In the past I would tell people I simply didn’t have the type of brain that could study math and sciences, but my only real limitation was a lack of knowledge on how to study. The techniques that have helped me save time and effort included the story about the osteology exam you took and the ways to memorize information using acronynms, visuals and active storytelling. Also the Navy Seals series was also helpful in helping me learn to relax before an exam by controlling my breathing. Finally, the most essential technique is the “Commit to Five minutes:” I do that for everything now. Committing to five minutes helps me overcome the fear of failure I’ve been battling all throughout my University career; instead of curling up in a ball I commit to five little minutes with the option of stopping after that duration. IT WORKS: usually I carry on and get good chunks of work done way ahead of deadlines. I’m half way through semester so, Cody, pray for me to graduate. Amazing GRE pre course blog. Used very powerful techniques and has insider tricks. It is helpful for the one who is going to attend the GRE test.